Enjoy the natural atmosphere of Hamahiga Island. Hamahiga Island has old-fashioned roof tiles, sound of calm waves, crystal clear wind, and special flowing atmosphere to enjoy. We were particular about functionality and design in order for guests to feel this atmosphere. 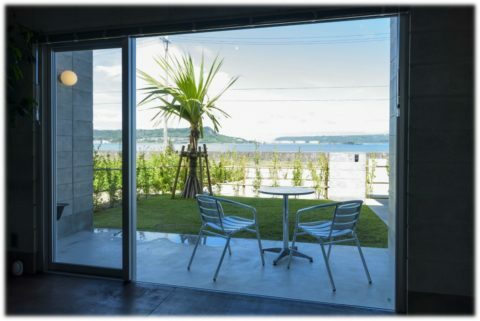 It is a nostalgic and fresh place, so please relax and enjoy the experience here, which you cannot experience in daily life. Hamahiga Island has old-fashioned roof tiles, sound of calam waves, crystal clear wind, and special flowing atmosphere to enjoy. It features an architectural design reminiscent of the block fences that are often found in private houses of Hamahiga Island. Not only does it have a superb design, but RM block also has superior earthquake fire resistant properties, making it easy to relax there in all seasons. Lauan is used in the flooring, stairs, door, closet, and original sofa made for this room, which create a warm atmosphere for guests. 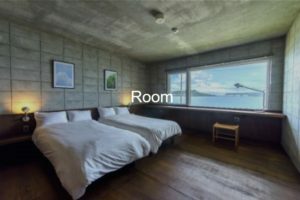 A bedroom is overlooking the sea. 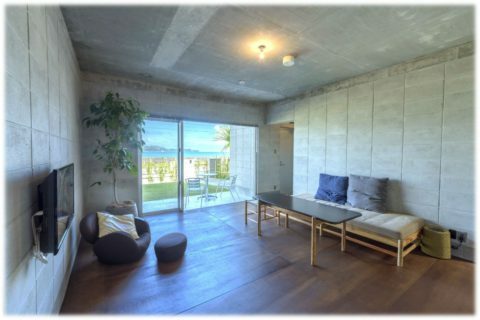 A sophisticated space has a calm atmosphere reminiscent of Hamahigas Island. Please use the counter desk by the window. 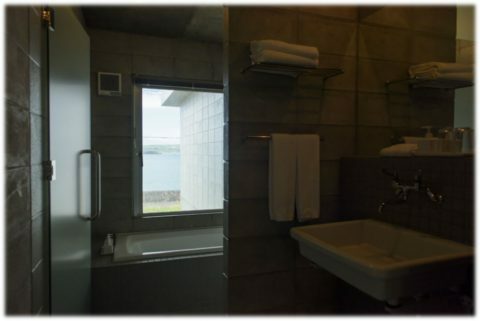 There are two types of bathrooms: ocean-view type bathrooms and cliff-view type bathrooms. 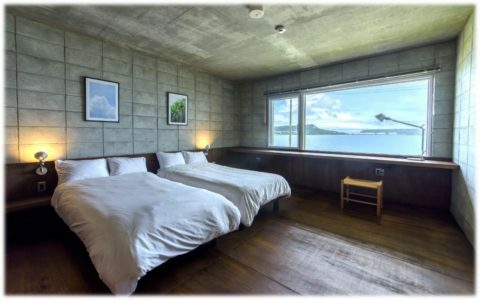 The ocean view type offers a panoramic view of the ocean, and the cliff view type allows guests to leisurely view the cliff nicknamed "God Mountain” in Hamahiga Island. Please inform us of the type of bathroom you would like at the time of reservation. *Please note that if your desired bathroom-type room is full, we may not be able to accommodate your request. Thank you for your understanding. You can hear the sound of the waves of Hamahiga Island and feel the crystal clear wind. 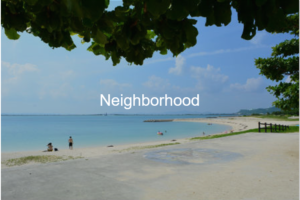 There are no neighboring houses or shops around, and there is nothing to disturb you, so you can enjoy the atmosphere even more. You can enjoy having a BBQ and leisurely relax here. 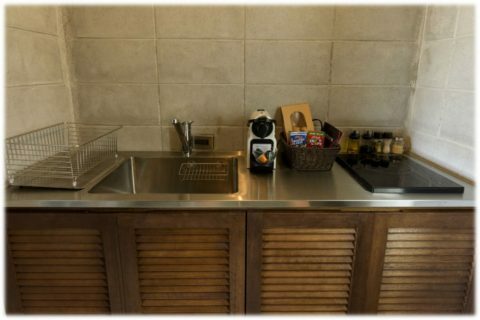 Because the rooms are equipped with a refrigerator, washing machine, dryer, microwave oven etc., long-term stays are possible. Those who want to enjoy leisure every day can also stay comfortably. 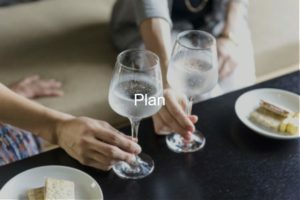 There is no cleaning of the rooms during consecutive holidays in the cases of guests who use consecutive night plans or long-term accommodation plans.